The fault with all religions like Christianity is that they have one set of rules for all. 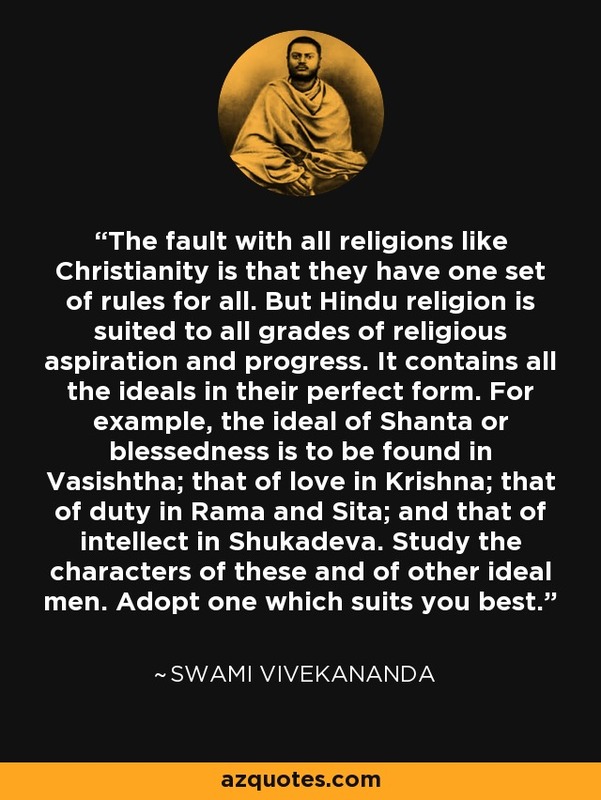 But Hindu religion is suited to all grades of religious aspiration and progress. It contains all the ideals in their perfect form. For example, the ideal of Shanta or blessedness is to be found in Vasishtha; that of love in Krishna; that of duty in Rama and Sita; and that of intellect in Shukadeva. Study the characters of these and of other ideal men. Adopt one which suits you best.